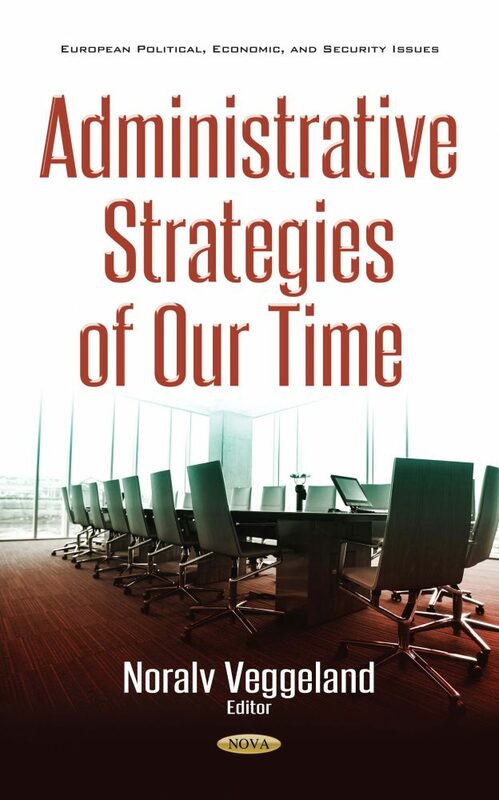 This book advances innovative arguments and presents original evidence to shed light on the Western diversity of administrative strategies of our time. In an excellent way, it presents an original account of national governance politics. The authors demonstrate persuasively that the strengthening of strategic thinking has had important consequences for the domestic strategies of collaboration and mobilization for redistribution, counteracting negative globalization effects. For its thoughtful arguments and rich empirical basis, this book deserves to become a key reference in the literature on diversified administrative strategies and governance in a world of change. What about the survival of New Public Management (NPM) governance? What about democracy? The book contributes to the political economy of administrative strategies and governance processes in the realm of the Nordic welfare state model, with a specific focus on the states of Norway and Sweden as contributors to the subject. Beyond that, the chapter authors have already made their mark through joint and individual works. In this volume, they take their thinking one-step further, inquiring into theory and the manner in which the adjudication of disputes can be a catalyst for democracy and agreements in partnerships and national governments. The book further presents a number of highly insightful case studies to tease out the projected linkages. This thought-provoking book is a must-read for all theoreticians and practitioners in the field of political and social sciences. Chapter 2. Regulatory Governance Strategies: What about Democracy? This thought-provoking book is a must-read for all theoreticians and practitioners in the field of political and social sciences, and especially for politicians.